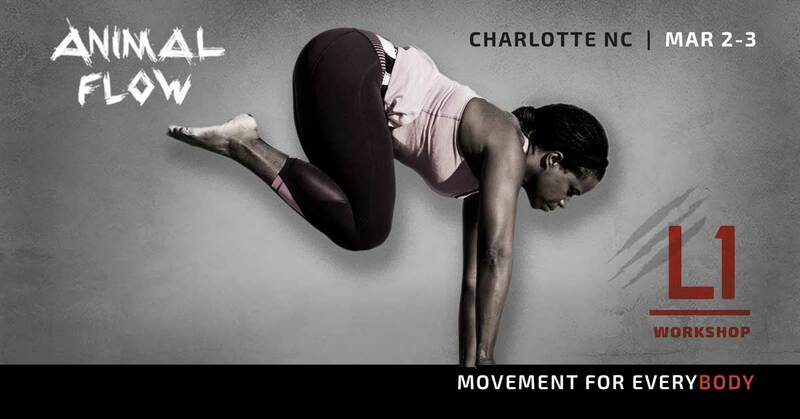 Join us for the Animal Flow® Level 1 Workshop in Charlotte, NC on March 2-3 2019. The two-day event is six hours each day: Saturday and Sunday, from 9:30am to 3:30pm. The event will be hosted at the awesome Charlotte Athletic Club – Duke Energy Center Location. Regular cost for the Level 1 Workshop is $595. Early Bird pricing of $545 is available until December 1.